Item Location: Phoenix, Arizona, United States. Thermoco is a coin size smart gadget, it measures and records room, fridge, cooler, camping tent, body temperature and much more. You can use your phone/pod/pad talk to it in real time. See current temperature, history temperature. Works on iOS, Android platforms. 1. Miniature size and versatile. 2. 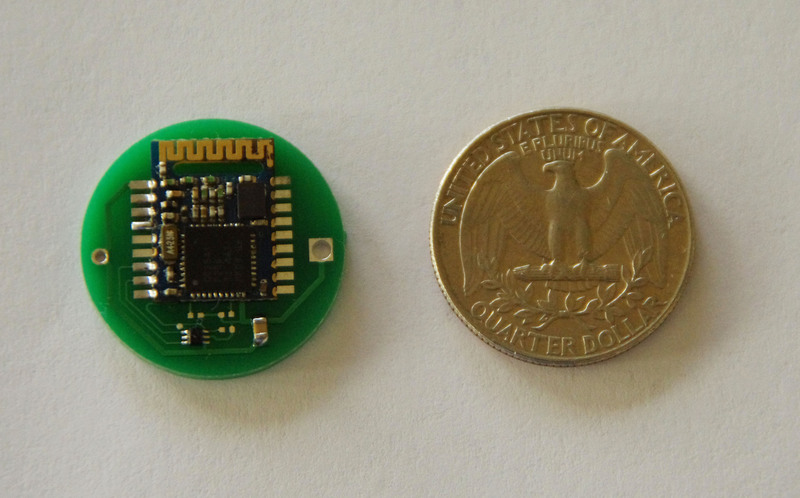 Smart wireless with your cell phone. 3. Record temperature for the past days. 1. Put Thermoco where you want to measure and record temperature. 2. Run free Thermoco app from your iPhone / iPod, Android phone / Pad. 3. Read temperature in digits, charts. Q: Will the app allow temperature to be displayed in degrees Celsius? A: Yes, the app allows temperature to be display in both Celsius and Fahrenheit. There is a switch for it. Q: Battery type? How long does the battery last? A: You can use CR2032 or BR2032. Battery life is 3 months with CR2032 and room temperature. Q: What are the lower and upper temprature limits that Thermoco can operate within? A: Operation temperature range: -20C~70C (-4F~158F) for CR2032; -30C~85C (-22F~185F) for BR2032. A: Step 1: Open the Thermoco case by inserting a coin to the case tab and twisting. Insert a CR2032 or BR2032 battery to the battery holder. Make sure the smaller battery terminal (negative terminal) facing to circuit board. Once done, close the case. Step 2: Place Thermoco where you want to measure and record temperature. Step 3: Make sure Bluetooth is ON under your iPhone/iPod/iPad's/Android device settings. 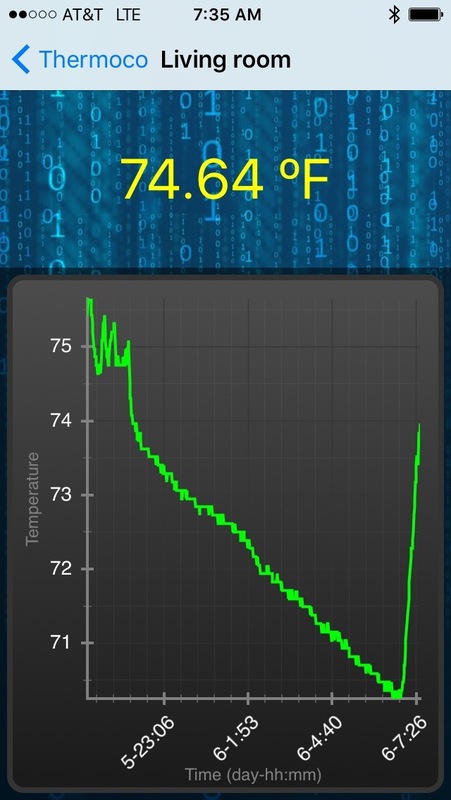 Step 4: Run Thermoco app from your smart device and read / monitor temperature. The app can be downloaded from Apple iTunes Store and Google Play Store for free. After you start the app, you should see the available devices in the list. Thermoco devices will be highlighted with the initial name as “THERMOCO”. User can change the default name by pressing the info circle on the right side of the item. The list screen also provide quick glance of the current temperature reading of the device. Q: Is there a guide for how to communicate with Thermoco? I am a developper and want to build my own software for it. A: You can download the developper guide from HERE. It includes sample code snippets in it. Contact us if there is any questions.